A veteran U.S. State Department foreign service officer says his job is on the line after he posted a link on his blog to a WikiLeaks document. Peter Van Buren, who has worked for the department for 23 years and just published a book that is critical of U.S. reconstruction projects in Iraq, said this week that the State Department had launched an investigation against him earlier this month for disclosing classified information. His crime, he said, was a link he posted on August 25 in a blog post discussing the hypocrisy of recent U.S. actions against Libyan leader Muammar Qadaffi. The link went to a 2009 cable about the sale of U.S. military spare parts to Qadaffi through a Portuguese middleman. New cables, on Wikileaks, now give us a hint at how cozy the US-Libyan relationship (briefly) was. 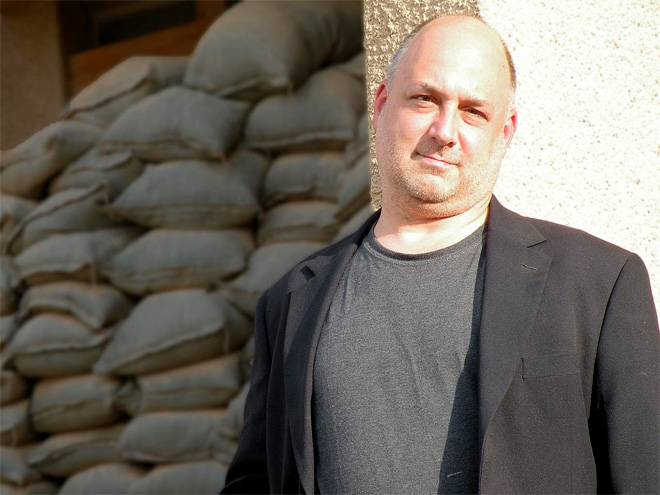 Van Buren wrote in a post published on Tuesday, the same day his new book, We Meant Well: How I Helped Lose the Battle for the Hearts and Minds of the Iraqi People is being released, that he was interrogated by State Department officials twice this month. Van Buren said he was under investigation for allegedly disclosing classified information — even though he had merely linked to documents that were already widely available on the internet. The cable was just one in a cache of more than 250,000 State Department cables that WikiLeaks allegedly obtained from former Army intelligence analyst Bradley Manning last year and has been posting piecemeal online with media partners in the U.S. and Europe since last November. “In other words, a link to a document posted by who-knows-who on a public website available at this moment to anyone in the world was the legal equivalent of me stealing a Top Secret report, hiding it under my coat, and passing it to a Chinese spy in a dark alley,” Van Buren wrote this week. The State Department investigators, he said, demanded to know who had helped him with his blog and told him that every blog post, Facebook post, and tweet by State Department employees had to be pre-cleared by the Department prior to publication. They also drilled him about the details of his publishing contract — including how much he had been paid — and told him that his refusal to answer questions would lead to his firing. And they warned him against writing about their interrogation, saying he could be charged with interfering with a government investigation if he did so. Van Buren said the Principal Deputy Secretary of State subsequently wrote his publisher demanding small national security redactions from his book, which had already shipped to bookstores. Among the cuts requested was a vignette that he said was based on a scene from the movie Black Hawk Down. Van Buren linked to the cable after WikiLeaks abruptly opened the spigot on its cache of cables in August, spewing out more than 130,000 over a few days after a news story in a German news weekly revealed that the entire database of cables had already been inadvertently leaked online by WikiLeaks supporters, along with the password to unlock the file. Van Buren said his real crime appeared to be speaking critically about U.S. policies in the Middle East.